"The old saw about old dogs and new tricks only applies to certain people." 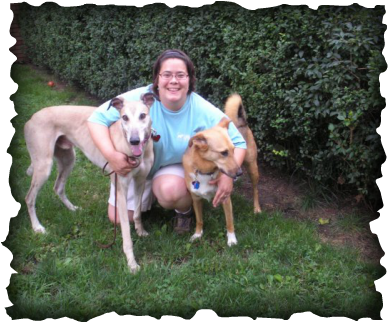 Lilian Akin, CPDT-KA, CBCC-KA got her start training dogs by volunteering at shelters. She has worked, volunteered and/or taught classes in all three of the major Pittsburgh shelters, Animal Friends, the Western Pennsylvania Humane Society, and the Animal Rescue League. She started out by working with shelter dogs under the guidance of volunteer trainers. She later interned with local behavior counselors, began teaching public classes and ultimately sought certification as a Professional Dog Trainer (CPDT) and as a Behavior Counseler (CBCC). She started out using the typical style of training in the early 90’s – using choke chains and no treats. She longed to learn methods that were kinder and more gentle and more fun for dogs. She attended her first week long conference held by the Association of Pet Dog Trainers in 1995 and then completed an Instructor Training Course through Dogs of Course in 1996 where she learned about using positive reinforcement in the manner of treats, toys, clickers and whatever motivates the dogs. After that point she has thrown away the old fashioned style of dog training and moved onto motivational positive reinforcement training that is scientifically based and does not use choke chains, prong collars or shock collars. Using positive reinforcement is something everyone can do. It is fun for the dog and fun for the human. Contrary to what some people say, it is not permissive and can absolutely involve high expectations for a dog’s behavior. Since 1991 Lilian has been volunteering with shelters, teaching classes, rehabilitating shelter dogs, and doing private consultations with owned dogs. Her goals is to keep dogs in their homes. 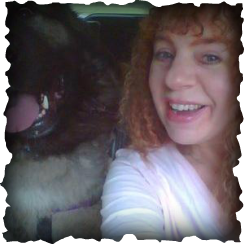 She has been in business for herself since 2004 doing in-home dog training and behavioral consultations. She assists clients in picking out the right dog from their home whether from a shelter, rescue group, or breeder, in preparing families for the arrival of a baby, in teaching general good manners and in rehabilitating behavior problems from housetraining to aggression to anxiety. In 2006 she obtained certification through the Certification Council for Pet Dog Trainers as a CPDT-KA (Certified Professional Dog Trainer – Knowledge Assessed). In 2011 she obtained certification as a CBCC-KA (Certified Behavior Counselor Canine-Knowledge Assessed). She is only one of 74 behavior consultants to obtain this advanced certification worldwide. 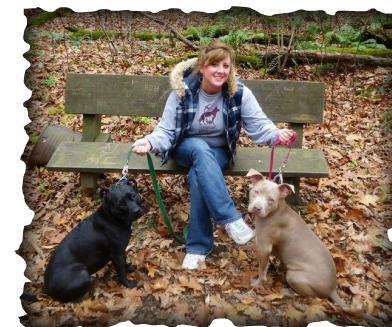 Lacey Grundler has been involved for more than 10 years in the animal rescue field. Her personal mission is to develop and maintain the human-animal bond. She began working at a veterinary hospital for several years, where she treated not only cats and dogs, but also reptiles and large animals, including cows, horses and pigs. She also worked for many years at PetSmart as a dog obedience instructor. Realizing how much she loved teaching owners and their pets how to better understand one another, she became involved long-term with animal rescue, which led to employment at the Animal Rescue League (ARL) for more than six years. She began working in the adoptions department, and shortly after, developed and managed the dog obedience program. The program quickly gained momentum and became popular in Pittsburgh and outlying communities. She taught a variety of classes, from puppy kindergarten to advanced obedience classes. Lacey then began working part-time at the Beaver County Humane Society, where she was the assistant shelter supervisor. She regularly lectures at seminars hosted by the Carnegie Library system throughout Pittsburgh, speaking about dog behavior and obedience, providing facts about animal shelters and rescues, and advocating for the humane treatment of animals. She has also traveled to many Pittsburgh-area middle and high schools with an adoptable dog to speak to the children about how to humanely care for an animal. Lacey grew up around horses and cows on a small farm. She loves working with horses and is currently assisting with Mister, a 16-year-old Quarter horse, and a Thoroughbred named Sugar, who were severally neglected, under-socialized, and in need of medical care. Both horses are now thriving physically and emotionally, becoming more stable every day. Lacey still provides private consultations and obedience sessions all over the Pittsburgh area. Her specialty is private sessions, consulting with owners and dogs on a one-on-one basis to cope with a range of anxiety problems, various reactivity issues, rehabilitation from abusive situations, and desensitization of fear-based behaviors. She lives with her fiancé, and adorable “fur-baby” rescue cats, Boo-Bear and Ike, and her two adopted pit bulls, Patrick and Miss Tia. She presents multiple dog seminars upon request and has several webinars available online on the subject of multiple dog households. In addition to blogging for the Positively site, she blogs on her book’s website at www.howmanydogs.com. Debby began her training career in 1998 as a volunteer instructor at Animal Friends shelter in Pittsburgh. She has taught literally thousands of classes both through the shelter and at other locations. She started as a dog walker and developed a keen interest in behavior and was asked to join the behavior program. This lead to a career switch and the creation of her own behavior business. Debby also ran her own Doberman rescue for nearly 15 years before taking a less active role in the rescue world. Have a question for one of our trainers? Fill out the information below, and a SPAAR representative will contact you.